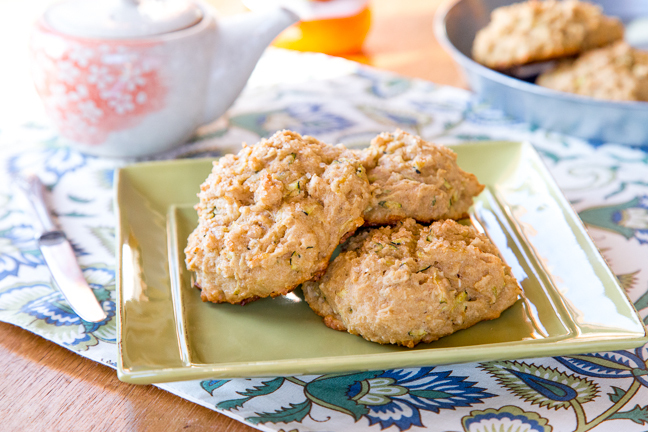 These vegan zucchini scones are packed with hearty whole grain flour, oats, freshly grated zucchini, and olive oil! They are so simple to make and are great for an on-the-go breakfast or for an afternoon snack with tea. Perfect for your next brunch, shower, or afternoon tea, these dairy-free scones are a real crowd-pleaser. Step 1: Preheat oven to 400 degrees and lightly grease your baking sheet. Step 2: Grate the zucchini. In a large bowl combine the flour, baking powder, salt, and nutmeg. Step 4: Form into 10-12 scones and place on baking sheet. Bake for 20-25 minutes or until tops are lightly golden. Serve with your favourite preserves. She studied photography at the School of the Museum of Fine Arts at Tufts in Boston. 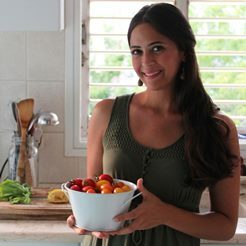 Her enthusiasm for cooking stems from spending time her mum's kitchen, where she learned techniques for cooking and she completed her formal culinary training in August 2013.